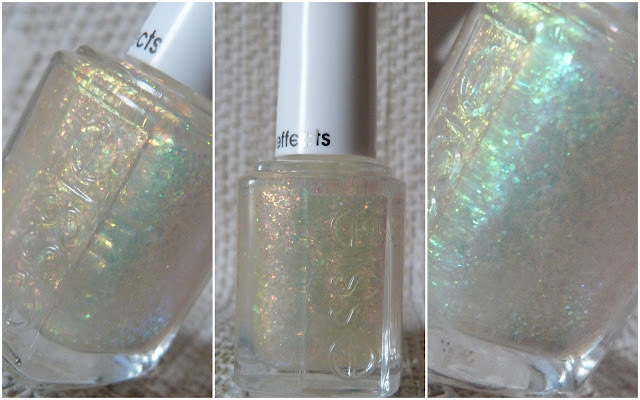 Being moi, I had to pile more nail polish on and out came the Essie Luxeffects polish in Shine of the Times, a dupe for the discontinued Gosh Rainbow. There's blue, green, yellow, orange and purple flakes running throughout the polish and it looks different depending on what polish you layer it over. Let me just say that this is one of my favourite nail combinations and is actually dangerous to wear. Why? Because when I'm driving, I can't help looking at my nails in the sun and trying to see the different hues from Shine of the Times as the sun bounces off it. Am in The Love folks. This is the second time in a couple of weeks that I've sported this combo which is unheard of in my world, considering the number of polishes I own. What do you think ladies? In the words of Adele, I set fiyah to my nails, I mean, the rain... I think Jessica nail polishes are available in salons and Kate from Mink Hand & Foot Spa tells me they stock Essie Shine of the Times! What's your favourite nail combination? Recently I went to the launch of John Frieda's Full Repair range and holy moly was I excited for this one. John Frieda stylist Jake Davis was on hand to talk us through the range and show us how they work. 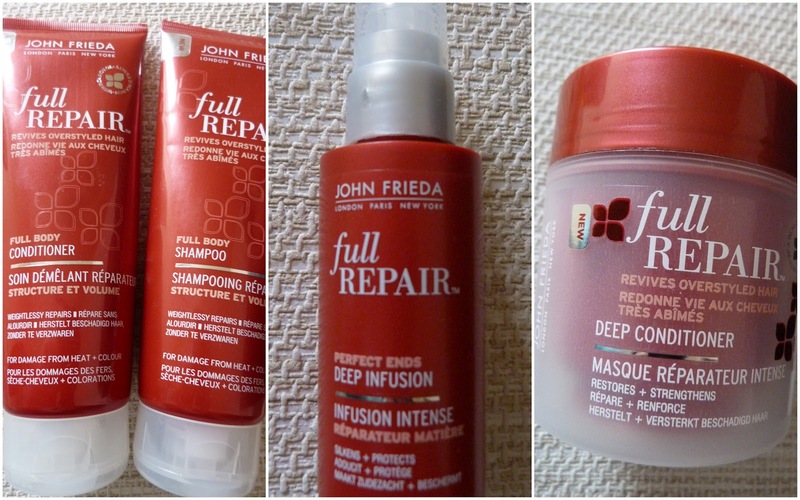 We all know that I treat my poor hair so badly and the Full Repair range is designed to help repair damaged hair. It's like it was made for moi. If you could take note of the model's untouched hair please... That is my hair most mornings and the reason why I wear my hair up most days, it's better for everyone all round I think. So Jake got stuck in and started styling the model's hair, we sat back and watched him work his magic. 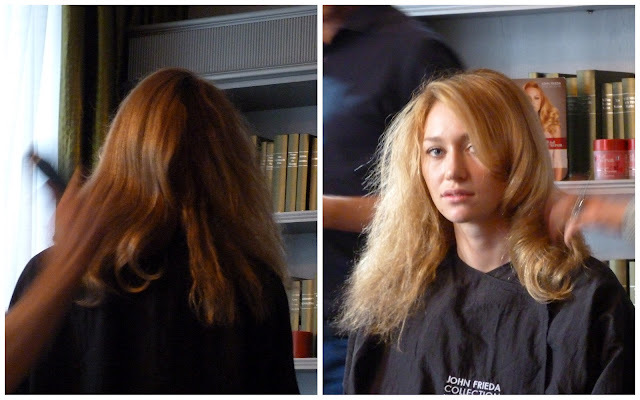 All he was doing was brushing, manipulating and handling her hair to create the styles he wanted. One of my favourite things in life is to have my hair brushed and played with, so watching him made me happy. I was given this set to play with and play with I have. I've been using the shampoo, conditioner and Perfect Ends Deep Infusion for the past couple of weeks and have fallen in The Love with them. The man knows how to make my hair looks nice. First of all, the products promise to deliver body to the hair and holy moly, they do. I use them the same way I use any hair products, wash once with shampoo, apply conditioner but not at the roots and leave on while in the shower. Rinse out well and apply one pump of the Deep Infusion to my hair, again avoiding the roots. I always dry my hair the same way, bent over and head upside down because it makes my hair dry quicker and injects some volume to the roots. Well folks, when my hair is dry and I flip it back over, I may as well be a child of the 80s again with the amount of volume I have at the roots. We're talking Debbie Gibson and Tiffany hair (I realise this will 1. not make sense to my younger readers and 2. make me sound like an aul wan) that adds inches to your height. Because I don't apply the conditioner or Deep Infusion to my roots, I know it's the shampoo that helps lift my hair. The whole length of my hair has body and oomph but at this point, it's wild and needs to be tamed a bit. When using the Perfect Ends Deep Infusion, Jake told us that it's important to use heat with it, either with a hairdryer or straightener as it's the heat that infuses the product into the hair instead of just coating the strands. It protects the hair so you can keep styling it with whichever heated appliance you'd like! I use this every day and after day one, my friend at work knew I'd used something different. My hair is silky soft, shiny and feels healthy. I don't feel any residue on my locks and they're not weighed down at all. It just feels like my hair, only better. The only thing I haven't tried yet is the Deep Conditioner and that's just a timing issue. I have a tendency to shower in the morning with no time for anything other than the steps outlined above but hopefully this weekend I'll treat my hair. I will repurchase the shampoo, conditioner and Deep Infusion in a heartbeat. There are a couple of other products in the range that I'll be trying out once payday comes this weekend and I'll report back! Now, we have a set like this up for grabs for a lucky reader! This giveaway is only open to residents of the Republic of Ireland and Northern Ireland. I hate applying sun cream with an absolute passion. I've tried so many over the years and being a regular visitor to Spain, it's my least favourite part of a holiday; slathering myself with a greasy cream that makes me look like I've Vaseline all over myself. And I know it's so bold, but I don't wear SPF every day here in Ireland... Wearing it under make up just feels horrible because most of the ones I've tried are just too heavy and my foundation doesn't sit right on my skin. So when this bright orange tube arrived in the post a couple of weeks ago, I thought OK, sure I'll give it a go when the weather gets nicer. Investigation (reading the smaller print and not just the big name) said it was also an anti-brown spot fluid. This made me sit up straight and learn more about it. 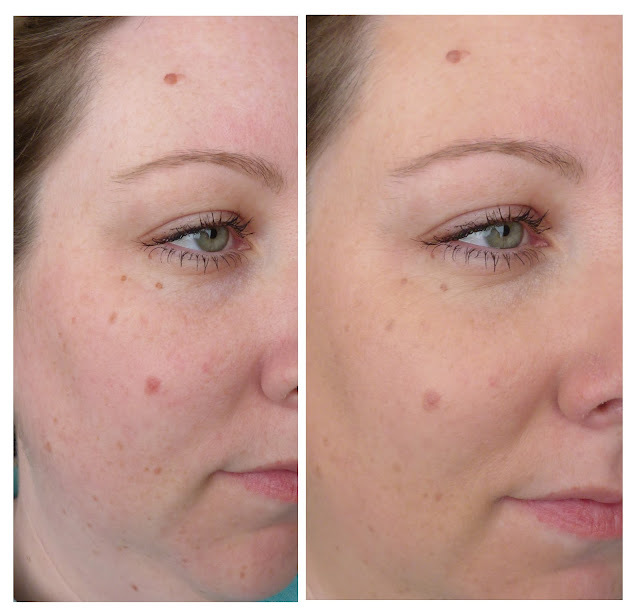 I have lots of pigmentation on my face from years of sitting in the sun and this is exactly the type of thing I was looking for, I just didn't know I was looking for it. The big huge name that you'll never remember is RoC Soleil Protexion+ 2 in 1 Anti Brown Spot Fluid SPF50+ (phew) and retails at €18.25 for the 50ml tube. Just remember anti-brown fluid and you'll be good to go. So what's it like? Well, it's a really lightweight cream that smells like holidays and watermelon. Two things I love. 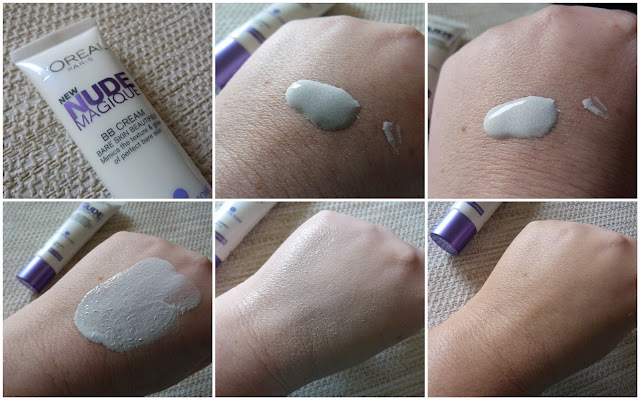 It really does feel like a daily moisturiser for your face and it absorbs into the skin quickly and easily leaving no white residue and more importantly, no greasy face. It has UVA and UVB protection and uses it's RoC anti-ageing Vitamin C derivative technology "to help actively prevent and correct spots throughout the year". The first time I tried it, I was pleasantly surprised with how light it felt on my face and thought hmm, this will be brilliant for my holidays in May. Then I thought, no, I'm going to use it now, it's experiment time. I'm going to use this every day for the next few weeks and will take a before and after shot to see how the pigmentation marks on my skin fare. Stay tuned for more on that and the other part of the experiment later this week. The RoC Soleil Protexion+ 2 in 1 Anti Brown Spot Fluid SPF50+ is available in pharmacies nationwide now. Back in 2011, a new brand launched in various Superdrugs across England but little old us in Ireland had to wait and see if we'd be lucky enough to have it launched here. Last week when I was perusing my local Superdrug, I caught sight of the stand and breathed a sigh of relief, it was here! 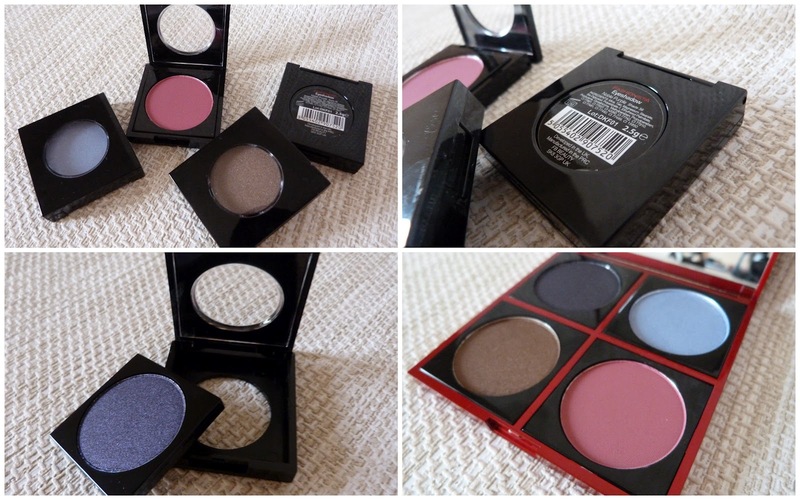 Fashionista cosmetics is a brand that "brings catwalk style to the high street" and they've a grand selection of products to do that with at really affordable prices. I've left what I think is the most exciting product to the end, so be a good reader and go through alllll the photos! They sent me a few of them to play with and here they are in all their glory. 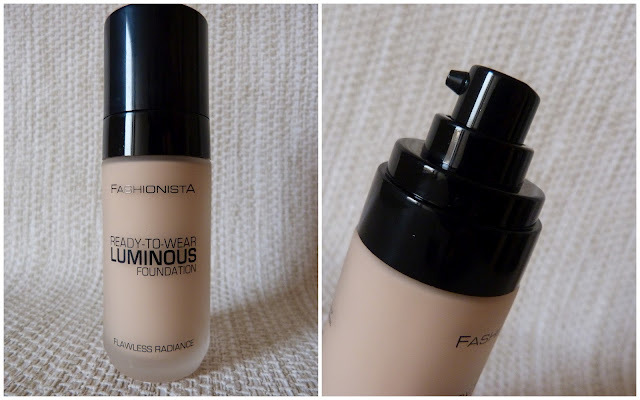 The Ready-To-Wear Luminous Foundation (€14.95) is a medium coverage foundation that is buildable and leaves the most lovely dewy glow on the skin for those of us that want glowy skin. It's slightly thicker than a liquid foundation and sticks around on the skin beautifully. 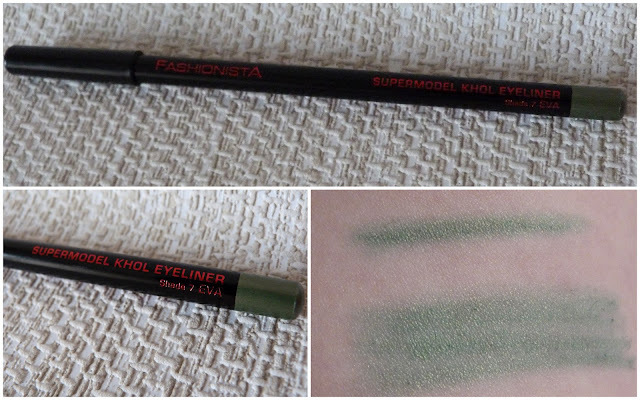 There are seven Supermodel Khol Eyeliners in the range, all named after the Supermodels of the 90s. Eva is a cool green shade that I would most likely use on the waterline or as a base for a shadow. It's not creamy like an Avon Supershock liner but it applies pretty easily without tugging on your skin and is a grand €4.95. There are a massive thirteen gel liners in the Fashionista collection and one will set you back €8.95. The packaging is really handy for those of us that like to carry a lot of products around with us during the day for touch ups. The lid of the liner opens up to reveal a dinky little brush that is actually very handy for application. Take a look at the shade Short List, a charcoal grey colour, in action. I applied a decent line and flick using the brush in only a few seconds and I'm not brilliant at the eyeliner if I'm honest! The shape of the brush allows for both a thick and thin application and I am quite happy with this little find if I do say so myself! Now, you've made it this far and we're on to my most favourite thing about the Fashionista brand, it's custom design palette that you can fill yourself with any of the staggering 49 eyeshadows (€4.95) and 12 blushes (€4.95). The empty palette (€6.25) comes in either black or red and holds four products. I got the red one to play with and just look at it folks. 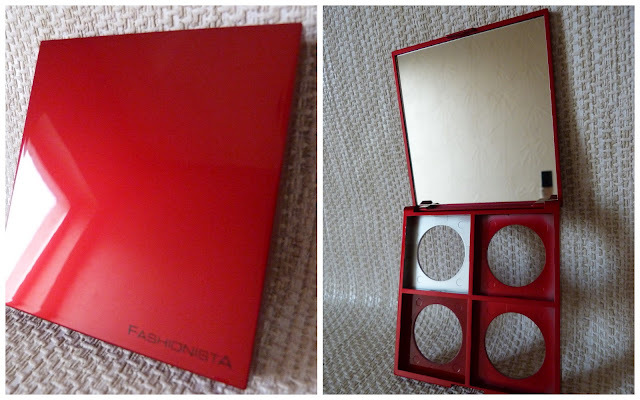 Shiny, red and it has a ha-uge mirror that we all like so we can see how much make up we're piling on. When you buy the shadows and blushes, they come in their own individual packaging, looking like a normal shadow. There's a hole at the back of the container that helps you pop the shadow out and you then press it into the palette, easy peasy lemon squeezy. 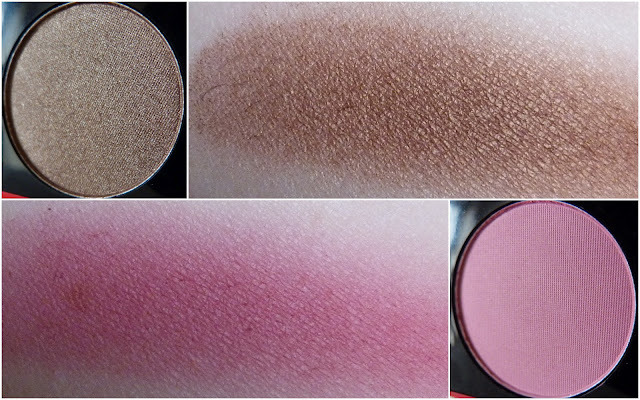 The blush and three shadows I was given to play with are pigmented, easy to apply, blendable and if the rest of the shades are like this, then we're all in for a treat. 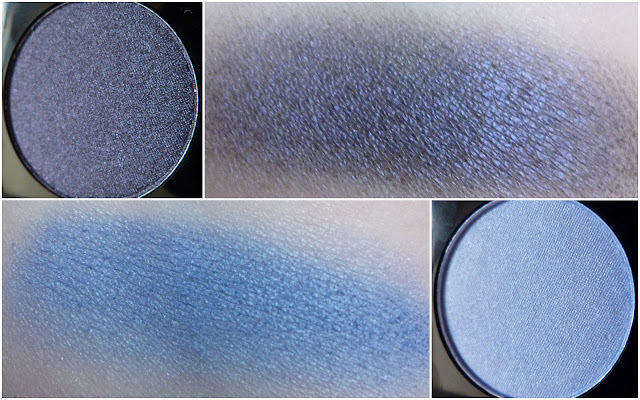 Have a looksee at some swatches for an idea. Above is Noble Purple (top) and Clear Sky (bottom). I love me some midnight blue shadows and Noble Purple has just enough blue in it to make me happy. There's not much fall out with these shadows and the swatches above are of two swipes, just to make sure they showed up on camera. Above is Berry Brown (top) and Blushing (bottom) and first thoughts are how Berry Brown looks like MAC's Sable! I'll do a comparison and let you know for sure but I just realised that now while typing this. Blushing is a mid toned pink blush with a satin finish and gives a lovely flush of colour to the cheeks. So that's an introduction to the Fashionista brand folks. It's easy to get used to the same brands in the pharmacy all the time and it's nice to have a new kid on the block doing something the other brands aren't doing. They also have lipsticks, glosses, nail polishes so go visit your local Superdrug if you want to have a gander and swatchfest of everything. If there's anything you'd like me to do a full review on, just let me know in the comments below. I'll definitely be picking up some more shadows to customize my palette even more! You can visit the Fashionista Cosmetics Facebook page here or click here to have a read of their blog. 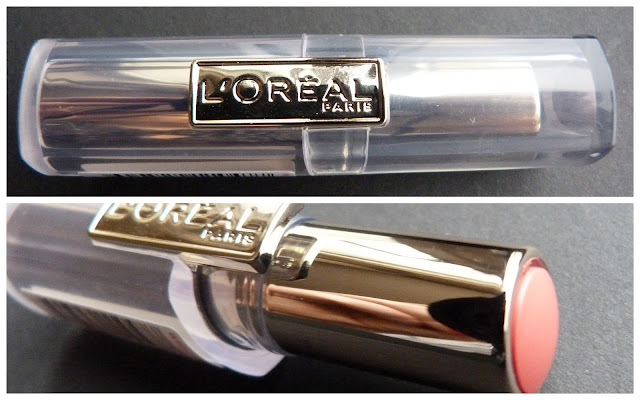 The packaging is nice and simple; a transparent tube with the gold cylinder containing the lippie. The lipstick itself has a domed tip and you get a decent amount of product for the amount. I think I paid €9.95 for mine in Superdrug but it was around the €13 mark in Boots. 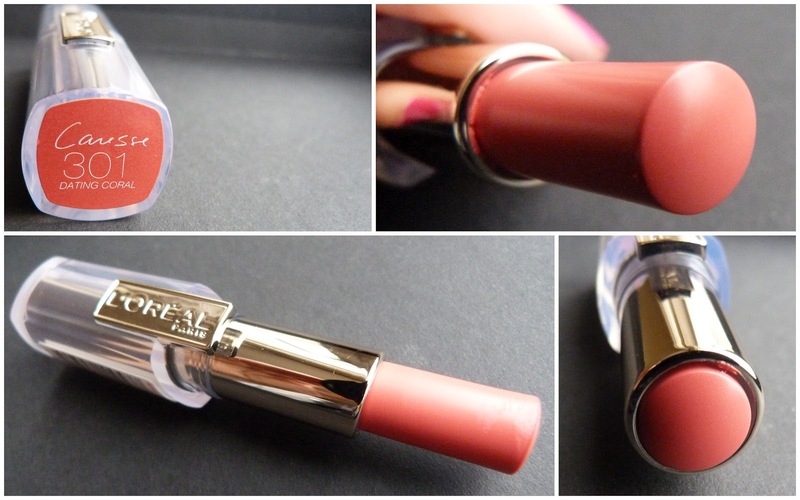 The formulation is creamy, glossy and has the consistency of a lip butter but with a decent amount of pigmentation. It's one of those lip products that I can apply at my desk and not worry too much about having a mirror because I can feel it easily on my lips. 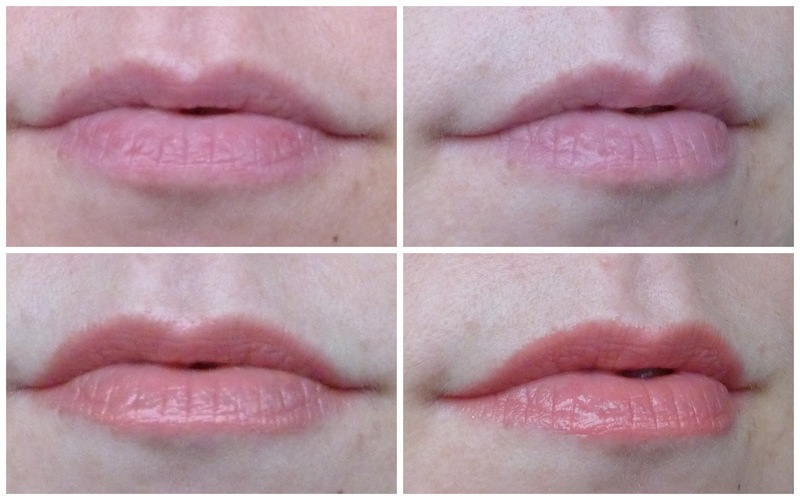 L'oreal Caresse Lipstick - Dating Coral: No flash (top), with flash (bottom). 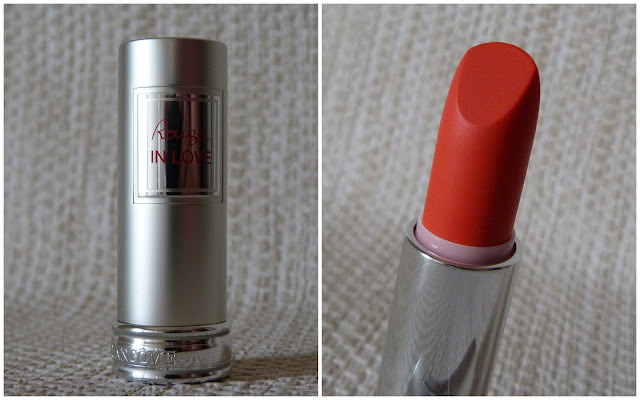 This is one of my favourite lip products right now. It's peachy, it's corally, it's glossy, it's moisturising, it's easy to wear, what more can you ask for? Dating Coral lasts about an hour or two before I have to reapply. The shiny gloss goes first but there's still colour left on the lips, so it fades easily. Have a look at my before and after lips shot. I love everything about this lipstick and will most likely pick up a couple more over the next while. I feel like this post should have music. Like the music that the X Factor judges walk out on stage to. You know the one I mean, so feel free to "la la la la" away while looking at the photos. They're finally here. 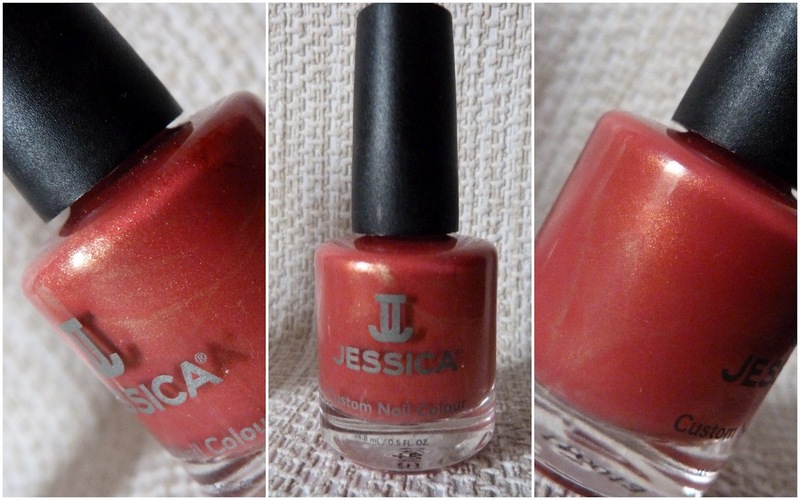 After what seems like an age and much torture for those of us who have been drooling over our US blogger's posts on the Maybelline Color Tattoo 24hr, I have three beautiful shades in my possession. Last Friday I went to my local Superdrug and saw they had them on the stand, but I wasn't in my right mind and didn't pick them up. I blame The Lady Pains for my lack of enthusiasm and appreciation that they were right in front of me, I just needed to go home at that stage. 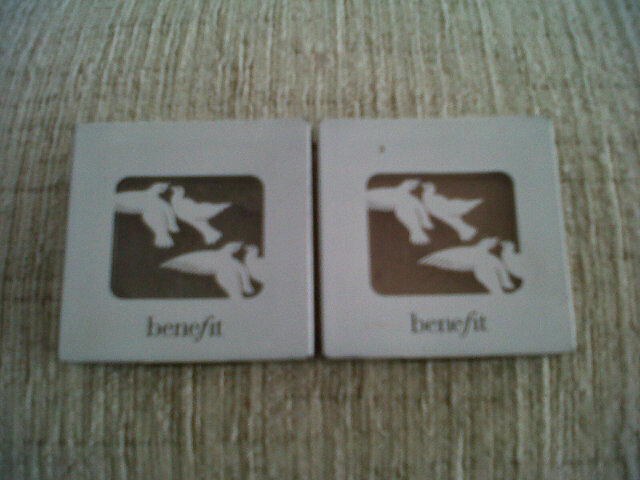 However, yesterday I was in the full of my health and inspired by Mags' post on the bronze and turquoise one, I drove to Superdrug on the way home from work, convinced that they'd be out of them! On Friday they had the bronze, gold and turquoise ones in stock, however yesterday, they had these ones and since they were 3 for 2, I snapped them up for €6.15 each. Just over €12 for three sturdy little glass pots of eyeshadow, not bad Karen, not bad. 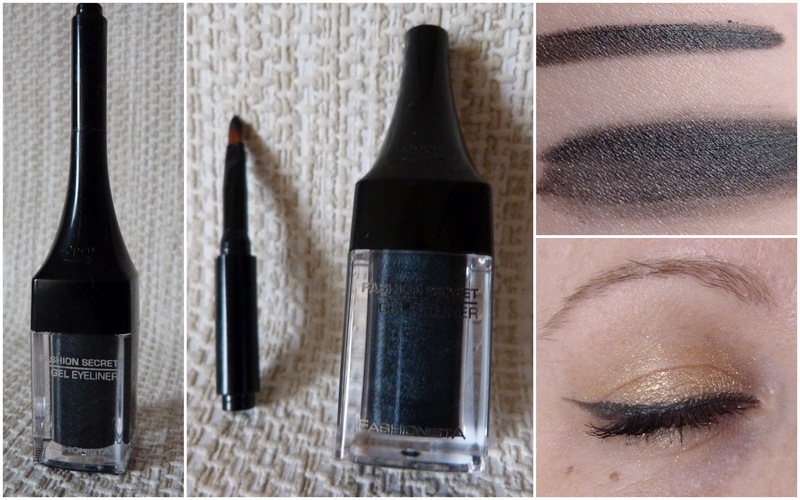 First up is Immortal Charcoal, a mid toned grey with what looks like a green undertone to it when I swatched it. It has teeny bits of silver shimmer running through it and is buildable on first inspections. I used my finger to apply the swatches below and totally forgot my rule of not sticking my finger into anything without photographing it... That sounded weird... You know what I meant. Using a brush will result in a sheer application but will also make it easier to build up the product. 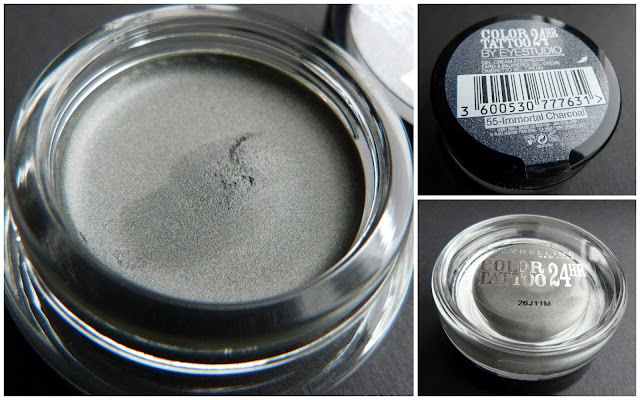 I think Immortal Charcoal will be a shade I'll use in the outer corner to add smokiness to a look. Immortal Charcoal: No flash (left), flash (right). Second on the list is Eternal Gold, a shimmering gold shade that is a beautiful colour for everyday wear. Eternal Gold is a sheer shade that can be used as a wash of colour to brighten up the eyes, or packed on by patting it on the eyelid, giving you a more opaque finish. 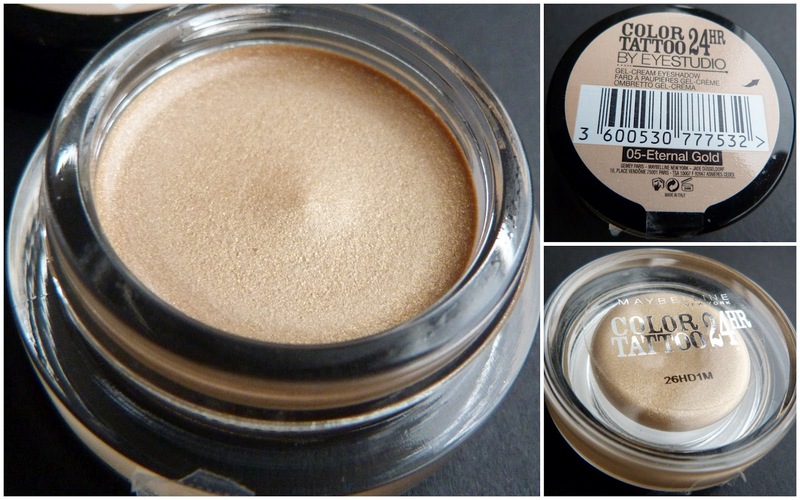 This is one of those shades that you can swipe on the lids and run out the door and not worry too much about. 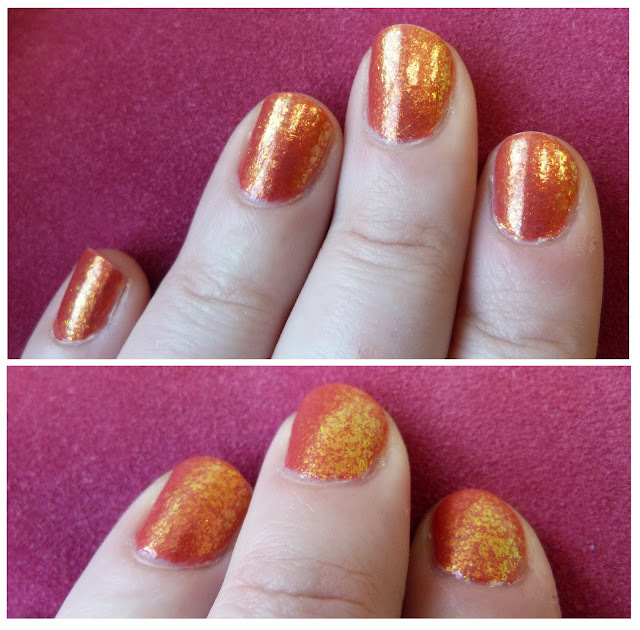 Eternal Gold: No flash (left), flash (right). Finally is the most exciting of the three shades I picked. It's called Endless Purple except I can't make that stick in my head. So for the rest of the post, I'll be calling it what comes naturally to me; Purple Nurple. Just looking at Purple Nurple in the pot gets me excited and inspired to play with my make up. It just looks so vivid and bright and Springy. However, Purple Nurple is also a hoor to photograph properly. On my arm it's the most violet/purple shimmery colour, but in photos it looks more blue, which nearly drove me demented. 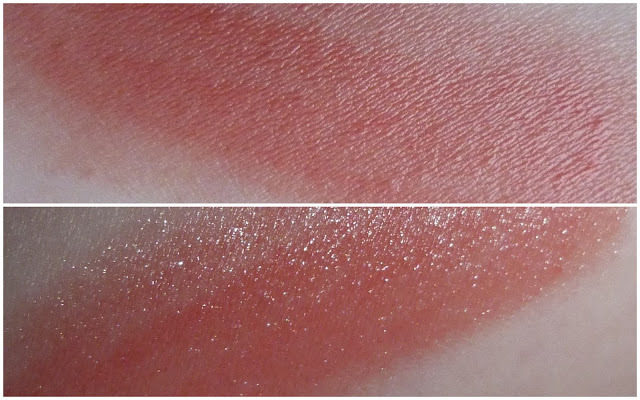 It's also the most patchy of the three shades when applying, but I learned to apply a sheer layer, let it dry for a few seconds and then keep adding layers until you reach the level of opacity you want. Endless Purple/Purple Nurple: No flash (left), flash (right). I can't wait to get stuck into these ladies and stay tuned for some make up looks featuring these little pots of beautifulness. I'll let you know how they old up but I can tell you now, I won't be leaving anything on my eyes for 24 hours! If they'd had the taupe one, it would have come home with me in a heartbeat. Of all the shades that I've seen online, it was the one that made me want them all. Thankfully for my purse, we're only getting seven of the ten shades released in America. Keep an eye out for these in April folks, or if you've a Superdrug nearby, now! After the great response we had to part 1 of "You know you're a beauty junkie when...", I found great solace in knowing I'm not demented... There are lots of like minded fabulous girls who were willing to share their beauty junkie secrets. As I mentioned at the end of part 1, that was the abridged version and now I'm back with more. I could probably fill a book with them! So here we go..
1. You better recognize sister - zig zag finger click. Any beauty junkie worth her salt knows her products and will be able to point them out when you meet her. For example, last weekend, I was at the Beauty Trade Show with Sile, Mags from Emerald Eyeliner and Sue from CherrySueDoinTheDo. We ran into Emma from Fluffandfripperies on our travels and stopped for a mini chat. 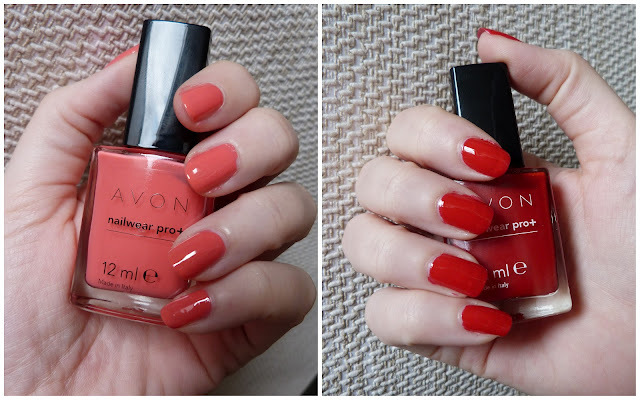 As beauty junkies do, Emma took my hand and asked "is that the Avon Apricot Mystery polish" and without beating a false eyelash, I said "yeah, nice isn't it". Now, any non beauty junkie would have been wide eyed and astonished, wondering how in the name of God she knew that. In the beauty world, it's just assumed you'll know. You don't get any special recognition, just a nonchalance, like it's expected that you should know these things. If any of you beauty junkies have done this to a "normal" friend, you'll know what I'm talking about. The incredulous wonderment, the muttered whispers under their breath "how did she.. did she see me putting it on...is she mental... or psychic...or demented.. yeah, probably demented..."
2. It's all about the light. This is probably just a blogger thing but last Tuesday, I found that Daylight Savings Time is happening soon. Spring forward, fall back and all that. I asked my work chum what this meant in terms of whether the morning or evening would be brighter because I never remember. She told me the evenings would be brighter and my immediate thought was "yesssss, I don't have to drive home from work like I'm on Top Gear doing the fastest lap, trying to get home to take photos before darkness falls". Now I can drive home like Driving Miss Daisy and will even have time to say hi to the doggy properly. Result. I looked at what she put on the table and looked at her expectantly, then looked at the eyeshadows again thinking surely I had something wrong with my eyesight. That couldn't be it. I mean, there were two eyeshadows on the table. One, two. She swore there was a third one somewhere, a purple one and I gave her a sidelong glance as if to say "yeah right". At that point we burst out laughing. I then pulled out a beautiful 10 eyeshadow palette I'd bought that morning to show her what a real eyeshadow collection should look like. Talk about opposite ends of the make up spectrum?! I tried my best to give her advice on what she could do with the two shadows and after about three minutes, the lesson was over. There are only so many permutations and combinations you can do with teeny weeny stash like that. I will make her buy more, fear not fellow beauty junkies! 5. When you can't travel light. Hands up who packs their cosmetics before clothes when going on holidays? Last year when I went to Spain with my two friends for a week, I brought so much stuff with me and of course hardly used any of it. I was so annoyed with myself that I actually wrote a post about it which you can read here. Why do we do this? Why do we need to bring millions of eye shadows to Spain knowing that it's going to be so hot that as you're applying it, it's sliding down your face? Same with foundation. Why bother bringing it with us when we'll end up looking like this? Will we ever be able to go on holidays without overpacking? I read this post over on the lovely Saloule.com and Sarah had the most brilliant idea for bringing moisturisers etc on a short break so check it out here, so simple! There might be hope for us yet! So that's the latest installment of You know you're a beauty junkie when.... Feel free to tell me I'm mental or leave your own confessions in the comments below! New from Avon Nailwear Pro+ Nail Enamel - swatch central! 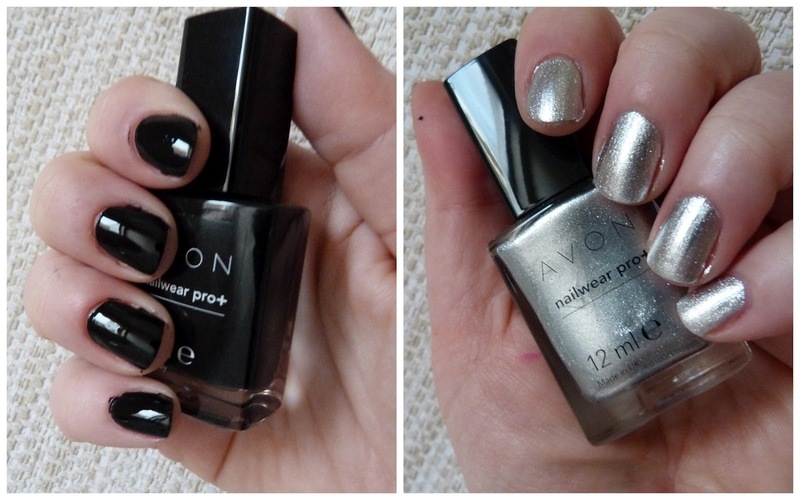 This May, Avon are launching their reformulated Nailwear Pro+ Nail Enamel with 13 shades to choose from. They contain real diamond dust (well it is a girl's best friend), calcium and keratin to help keep the nails strong and with an advanced acrylic strength formula. I met up with Jackie Tyson, Avon's Celebrity Make-up Artist last week to have the chats about the nail polishes and what else she was up to. Let me just say that I need learn how to control myself sometimes. I'd had my chats with Jackie and was getting my nails done while she was talking to the next person. Of course, I was having a listen and when Jackie said she was doing the make up for Steps, my head swiveled around like I was yer woman in The Exorcist, I was wide eyed and gasped "Oh my God I'm going to see them in concert next month"! That made my day even better. Photographer: Aoife Murtagh. Art Direction: Claire Moran. Now, we were given the 13 shades to show you so here goes ladies! I tried to pair them nicely to complement each other. 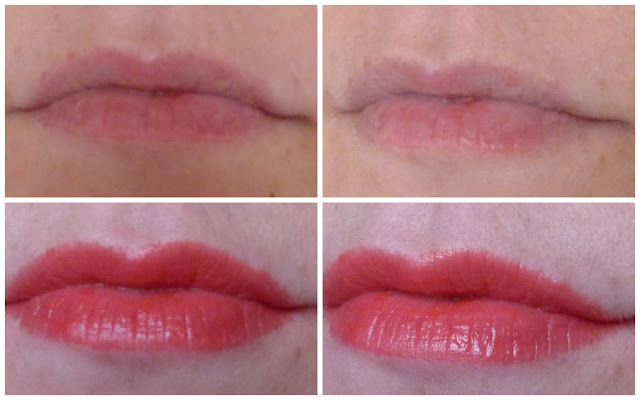 First up is Coral Reef (left) and Real Red (right). 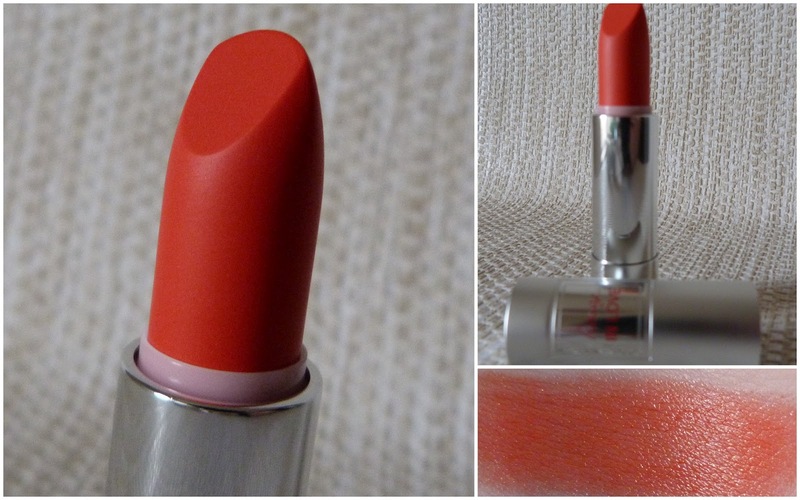 Coral Reef is a beautiful salmon pink coral shade that is exactly the type of shade Joanne and I love in the summer. Real Red is a stunning true red polish that Joanne fell in love with after I applied it on her. 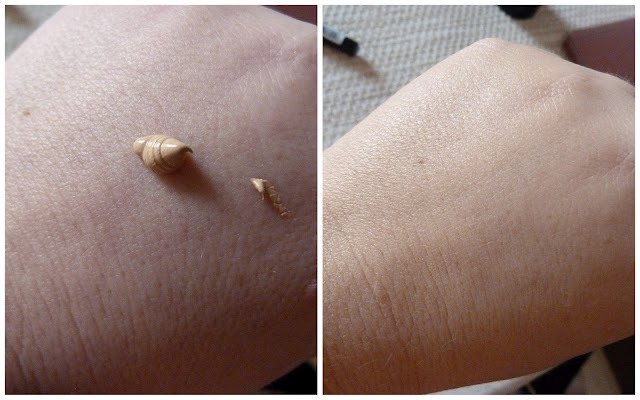 For swatching purposes, we applied one shade on each hand. The photos above are Joanne's hands and she went out on St Patrick's day with two different polishes on her nails, she couldn't choose between the two! Next up is the pearly two. On the left is Star and on the right is Romance. As with all pearl finishes, you'll always see the brush strokes. Star was opaque after two coats giving you a mother of pearl colour on your nails. Romance was a big surprise to me when I applied it. It's a soft lilac shade with pink undertones and to be honest, I wasn't expecting to like it as much as I do and that was down to the fact that when it went on the nails, it gave an even coverage with no brush marks. It had an almost metallic finish rather than the expected pearl. I like this a lot folks! Next we're on to the pastel shades. On the left is Lemon Sugar and on the right is Sea Breeze. These two shades were the ones I picked for my manicure last week. I had Sea Breeze on all of my nails apart from the ring finger, where I had Lemon Sugar. Oh lads, do you remember when yellow nails were all the rage last summer? I searched high and low for one that was nice and ended up wearing one from OPI that made me look like I'd smoker's fingernails. Ugh. Lemon Sugar however, is gorgeous! 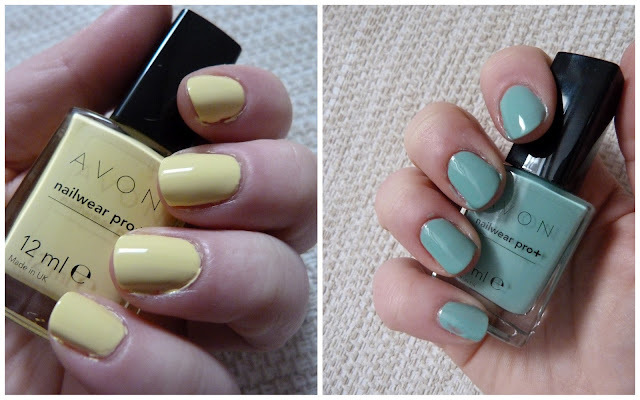 It's a bright pale yellow that is opaque in three coats and is Spring time all over. Sea breeze is a pale mint green polish that just makes me happy and seemed to be the popular choice for those who got their nails done that day at Avon! On to the metallics now. 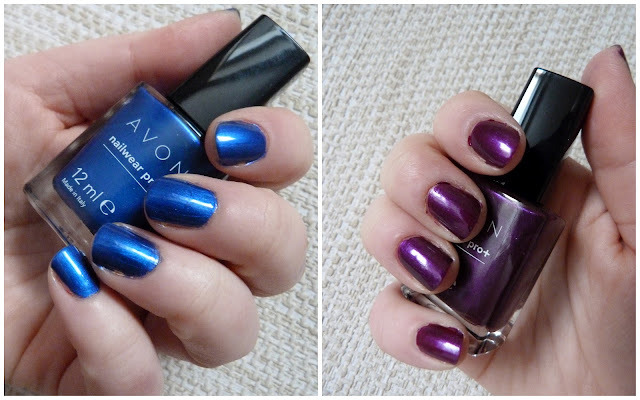 On the left is Cosmic Blue and on the right is Decadence. For the life of me, I couldn't get Cosmic Blue to show up it's true colour in the photos. Ladies, it's absolutely gorgeous. In real life it's slightly darker than the photo and is so vibrant and intense. It may be my early favourite from the collection. 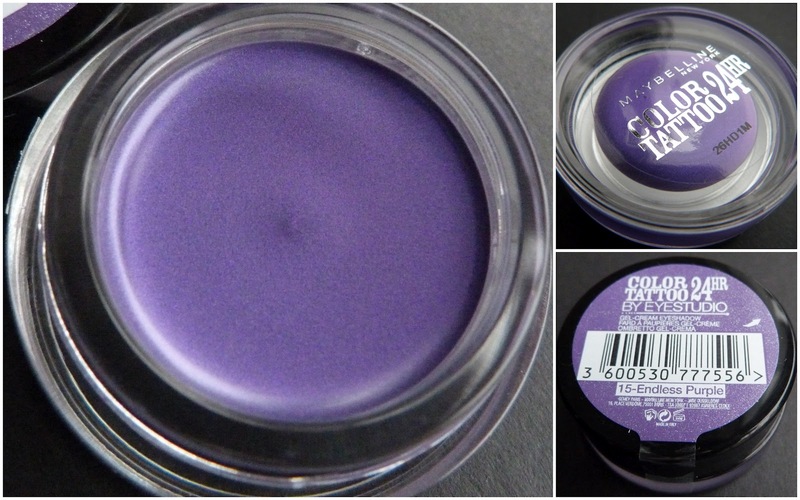 Decadence is a deep purple shade with shimmer running through it. I'm a huge fan of purple polishes and this is electric when the sun shines on it. Beautiful. Time for the pinks now. 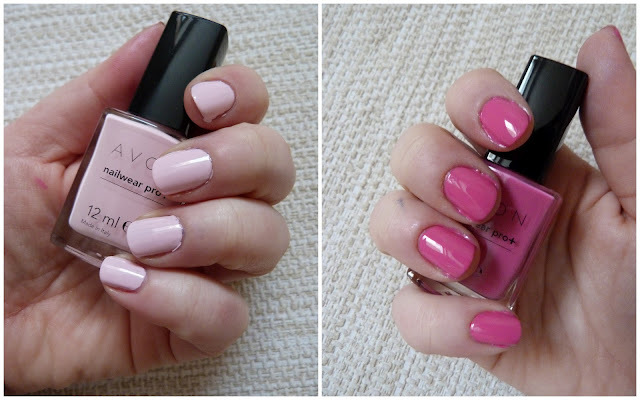 On the left is Pastel Pink and on the right is Viva Pink. Pastel pink is the palest baby pink polish in my collection but the difference compared to any other pale pink polish I have is just how opaque and non streaky it is. Like the other pale polishes in the collection, it needs three coats and that's how many I'd usually do for a cream polish anyway. 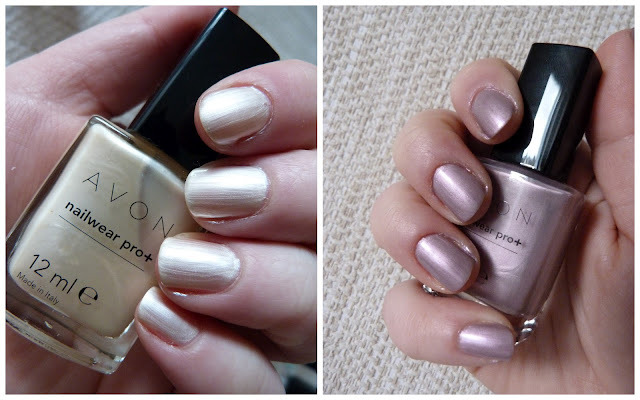 Shimmery or glittery polishes are usually fine with two coats. Anyway, I love Pastel Pink and here's a hint, if you want to look like you've a tan or want to make your fake tan stand out a bit more, apply a pale polish like this and just see what it does. Viva Pink is a blue toned pink polish that screams summer time! It's office friendly (for me anyway) and is a staple for any nail polish collection. Finally we have Licorice on the left and Starry Sky on the right. Licorice is a simple black polish but look at the shine on it in the photos! And that's without a top coat. Starry Sky is a fabulously shimmery silver polish that makes you keep admiring your nails and seeing how much you can get them to sparkle in the sun! The final polish is a clear one but I didn't think you'd want to see that and besides, I went through so much nail polish remover swatching these! 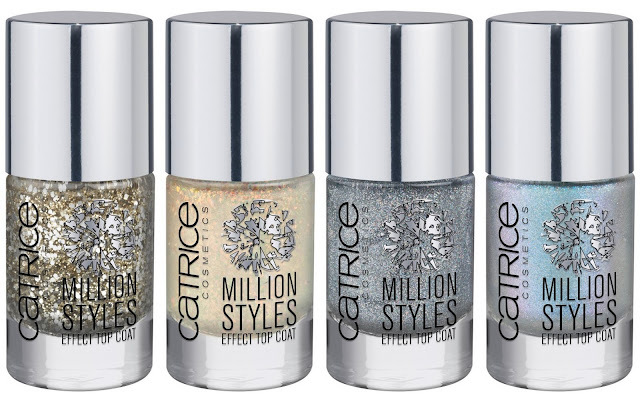 As I mentioned above, these will launch in May and will retail at €8, but keep an eye out for offers that Avon always have going on. Click here to take a look at an ebrochure or find your local Avon representative here. Do we like ladies? Are there any of the polishes above that you'd like to see up close and personal in a separate post? Today is the day we get to be extra nice to our mammies! We get to spoil her, take her out for food, give her flowers and appreciate all the nice things she's done for us. A few weeks ago, U magazine were looking for people to be a part of their Reader's Issue, so I put my name into the hat for the craic. They emailed back saying it was going to be a Mother's Day issue and were looking for people to write in about their mam. It could be about anything you want (which makes it so hard to decide what to write!) so I wrote about how my mam got me into the whole make up world years and years ago. I sent it in and didn't know if I'd made the cut until the magazine came out. Unbelievably, I made it! I didn't tell mam anything, I just told her to go buy the magazine and look at page 66. She texted me later saying she broke her heart laughing in the middle of the shop and now considers herself famous! While having chats on Twitter last night, I realised that with all the tinkering I've been doing around on the blog over the past few months, I'd removed the Blogroll, or the list of blogs that we love and read all the time. It just didn't look nice and now that I've figured out how to set the tabs at the top of the blog, that's where the list will be for everyone to see! So without further ado, here be the list of blogs that we read every day and some new and up and coming blogs in the beauty world. I'm sure with the whole demise of Google Friend Connect, I've missed some of my favourites, so feel free to leave a comment below. Also, if you want me to check out your blog, leave a comment and I big fat will! I don't spend enough time messing about on the internet so I need more to read!